Today's post is all about being seen and heard. I'm really proud to share my interview with Neil Hogbin of Care Abilities. The British based podcast is all about helping people with with profound learning disabilities and/or autism reach their care activities potential. Neil wants to hear from disability advocates to give them a venue to impart their experiences and advice to others. He also has a background in the fashion industry, and that made for an enjoyable interview that felt more like a great chat with a friend. 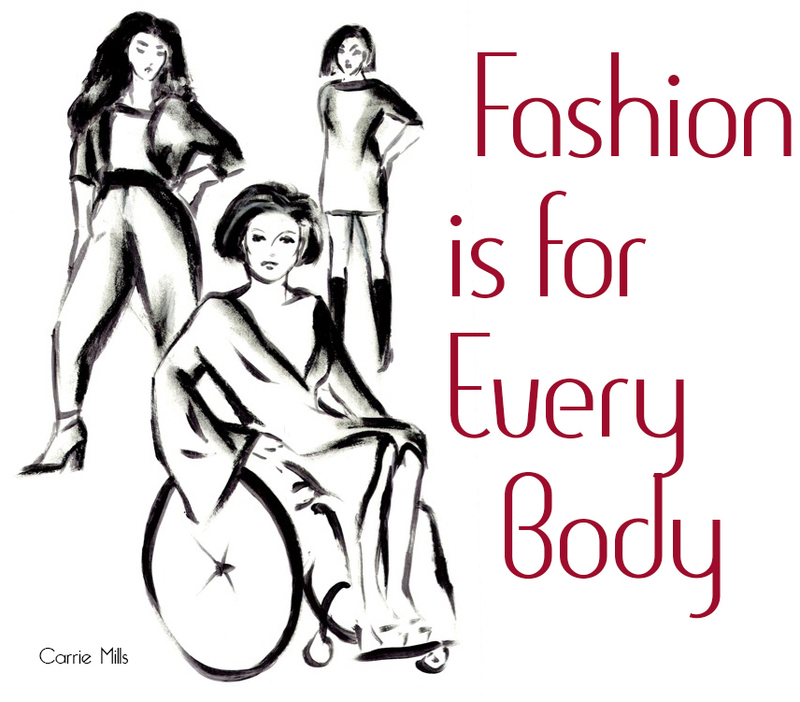 If you'd like to hear what I have to say about fashion and disability listen to our conversation at CA 15: Alicia Searcy on Fashion, Style and Choreoathetotic Cerebral Palsy. That takes care of the audio. Now it's on to the visual. 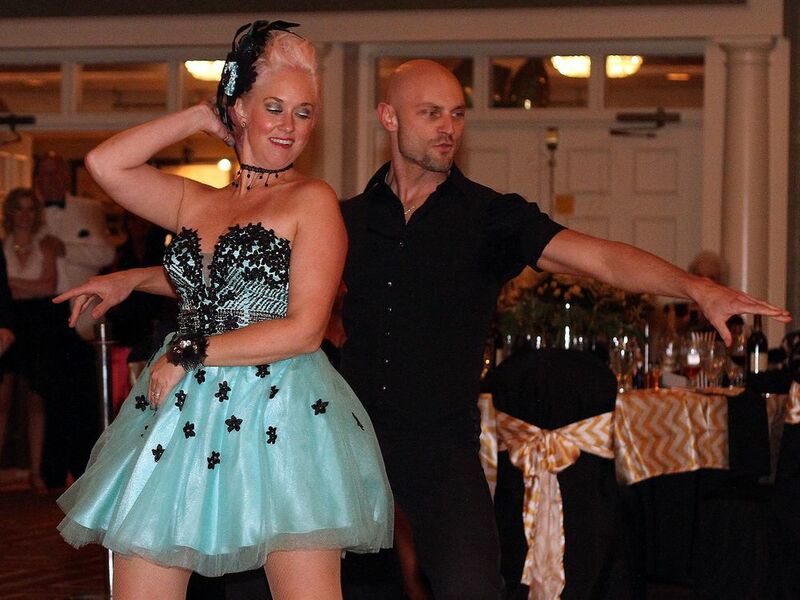 Last month we attended a local county's benefit version of Dancing with the Stars. Guests were treated to dinner and an evening of dancing featuring some of Sumner's most illustrious residents - which, of course, includes my friend Sunny Fitz of Sunnyband. Sunny and her partner John mamboed their way to victory to the tune of Livin' la Vida Loca. Their performance earned perfect scores from the judges. Local designer and Project Runway alumni Johnathan Kayne designed her dress especially for the event. Her headpiece is one of her own. Naturally, as evidenced by the photo above, many of her supporters wore their own Sunnybands as a show of support. I've had that red feathered Sunnyband for a while, and this seemed like the perfect event to make it's debut. The red dress you've seen before. I wore it to Saints and Sinners last February. I'm well aware that it reveals a lot of cleavage, and I'm okay with that for a fun function like this one. Even at my age I'm still very comfortable with my décolletage. I'm far more self-conscious about my upper arms, but I'm trying to resist the urge to always keep them covered up. While I don't want to highlight problem areas I also don't want to allow the internal dialogue of self-criticism to distort what I really look like. What about you? Are there specific parts of your body you feel compelled to cover up? What do you do to keep your self-critical internal dialogue in check?